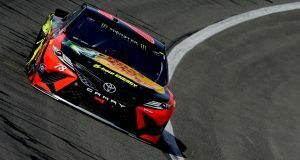 Martin Truex Jr. captured his first win of the season, and first at Auto Club Speedway, after he swept all three stages in Sunday’s Auto Club 400. Truex Jr. started from the pole and swept the day on his way to Monster Energy Cup Series career win number 16 (All-Time Winners). He led six times for 125 laps. 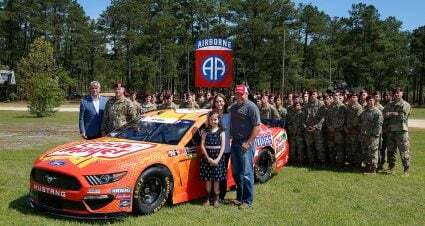 “We just kept fighting hard and never gave up on it,” Truex Jr. said. “I knew we had a really good race car and honestly after the first adjustment of the race it really came alive. From there it was just about managing my tires and being smart. 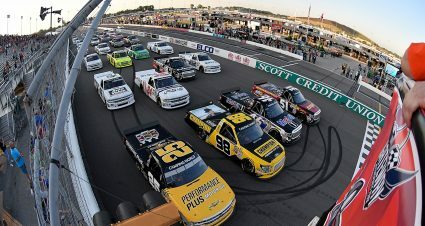 Kyle Larson, Kyle Busch, Brad Keselowski and Joey Logano rounded out the top five. Denny Hamlin, Erik Jones, Ryan Blaney, Jimmie Johnson and Austin Dillon completed the first 10 finishers. 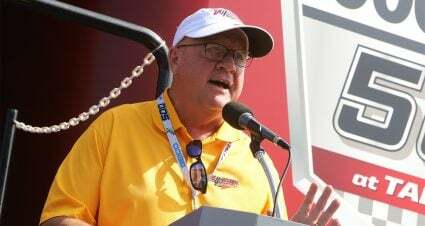 The Monster Energy NASCAR Cup Series now heads to Martinsville Speedway next Sunday afternoon. 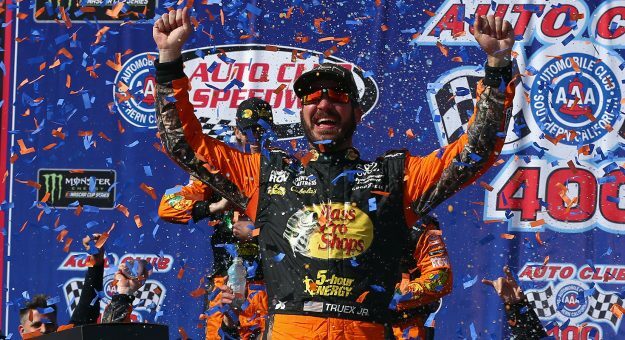 How Truex Jr. Won: He had the top spot until the day’s last green flag pit stop when he lost the lead to Kyle Busch. 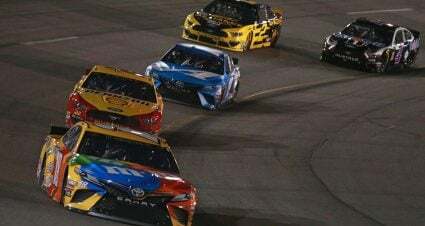 But Truex Jr. made up the lost ground on track and hunted down Busch before racing by him to take the lead for good with 32 laps to go and was then unchallenged to the checkered flag. 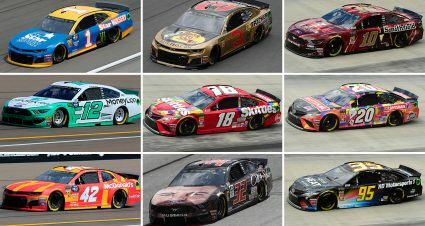 Who Had a Good Day: Larson rebounded from contact with Kevin Harvick earlier in the race and has finished top-two in three of his five races at ACS (Read More)…Kyle Busch has three straight finishes in the top three…Keselowski has four straight top 10 finishes at ACS…His Team Penske teammate Logano has top-10 finishes in four of the five races this season. Who Had a Bad Day: Kevin Harvick’s bid to win a fourth straight Cup race ended in a crash on lap 37. Harvick and Kyle Larson were racing side-by-side coming off the second turn when contact was made between the duo. Larson kept his car straight while Harvick made heavy impact with the outside wall (Read More). 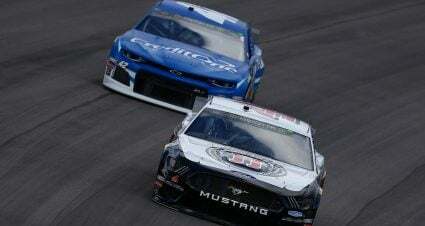 What Else Happened: The first stage of the race saw a lot of four and five wide racing but also delivered the drama concerning Harvick’s quest for a fourth straight win. But once that evaporated in his incident it boiled down to the strength of Truex Jr. versus Kyle Busch and Larson. That turned out to be no contest as Truex Jr. flexed his muscles for the dominating win. Quotable: “I still think the 4 car is the best car in the field right now,” Keselowski on Harvick. 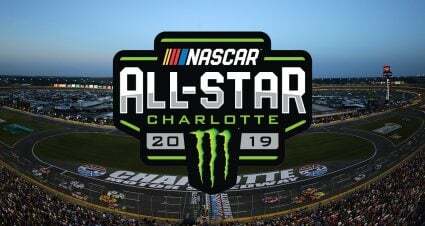 Noteable: Truex Jr. is the first driver to win the pole and sweep all stages on his way to a win…ACS is the 12th different track where Truex Jr. has won….Jimmie Johnson ended his career longest streak without a top-10 finish (10 races) (Read More).